Traveling in the 21st century is drastically different than it was a few decades ago. Staying connected is easy thanks to smartphones, getting lost doesn’t happen nearly as often thanks to super-accurate GPS programs, and staying in touch with the people you meet along the way is a breeze with social media. Traveling has definitely changed over the years and there are now so many fascinating and creative inventions out there that are making your journey easier and more efficient. If you’re a trekker or backcountry camper who likes to get lost, you need this travel gadget. 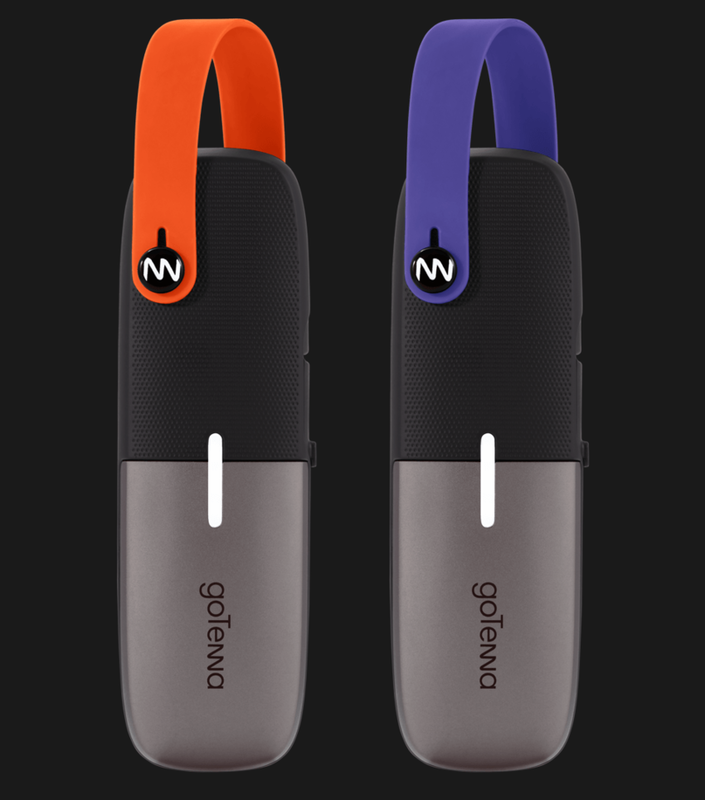 The GoTenna Mesh allows you to send text messages and GPS location when there’s no service at all. How? This slim, two-finger width device pairs with your phone and creates your own signal. Not only is this great for staying connected when you’re off the grid, it’s also ideal as a backup communication device in an emergency (power outages). Finally, it can also be used when traveling abroad which avoids costly international phone plans. The idea is simple, but the gadget is so ingenious! 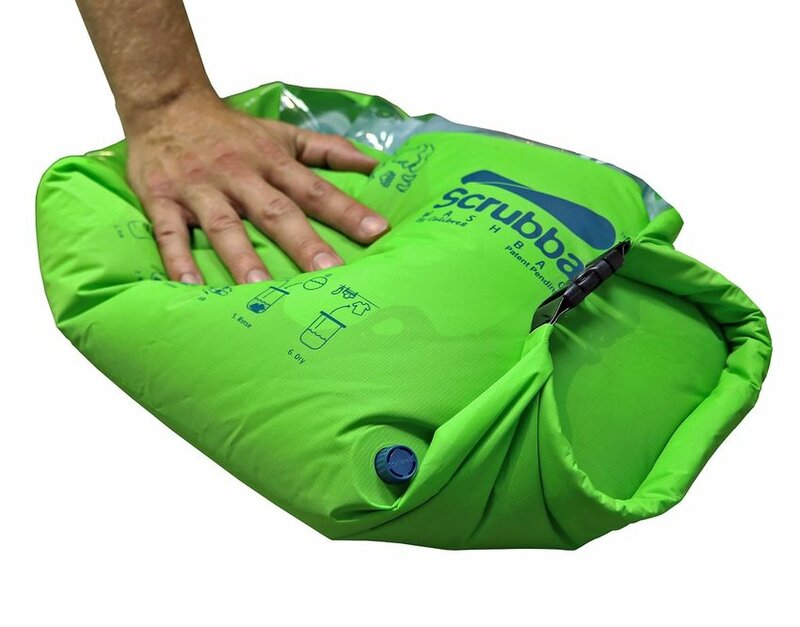 Anyone who’s ever backpacked, camped, or just traveled long-term will appreciate the Scrubba Wash Bag's function. This pocket-sized washing machine cleans your clothes while you’re on the go with just a few liters of water and a little bit of soap. The Wash Bag is a simple pouch design that folds over itself at the top to seal. Inside are little “nobules” that do the scrubbing. Place your dirty clothes in the bag, add water and soap, seal it up, and use your hands to massage the outside of the bag. In just 3 minutes you’ll have clean, machine-washed-quality clothes! I recently took a trip to Croatia and was in the midst of an amazing multi-day sailing trip around the Adriatic Sea when plunk, I dropped my iPhone overboard. In 15 meters of water. The phone was gone and I accepted that. But what I couldn’t get over were the pictures. I hadn’t connected to Wi-Fi in two days so none of the pictures I took in the last 48 hours had updated to my iCloud. Avoid this gut-wrenching feeling by traveling with a wireless travel router. 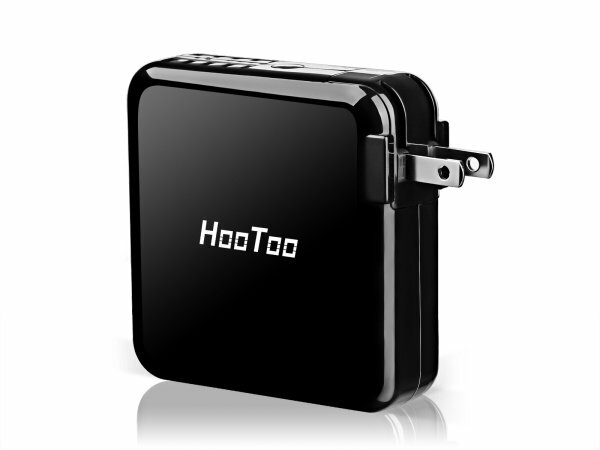 HooToo makes one weighing just 1 ounce that fits easily in the palm of your hand. This device allows you to stream videos and photos to other connected devices, back up your photos via USB and free up space on your phone, and convert a wired network to wireless or bridge an existing wireless network and create your own secure network. Those who love to stay connected (or are a bit on the clumsy side) should definitely invest in this! It’s always a great idea to bring a reusable water bottle when you travel. These days there are more and more refill stations and even airports are starting to jump on board with this trend. The only downside to carrying an eco-friendly bottle? The space it takes up. 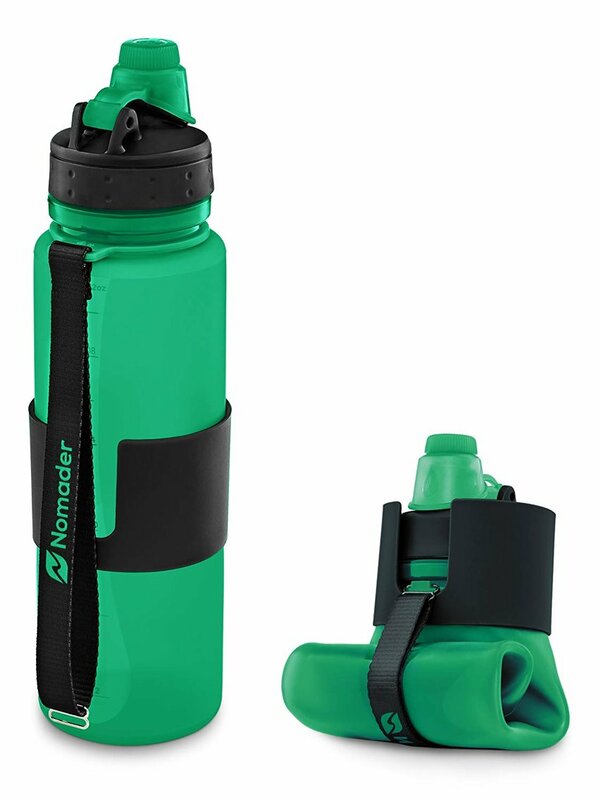 But now thanks to Nomander, there’s a new shatter-proof bottle that can hold 22 ounces of liquid and compress down to 1/5 of its size. The soft silicone is durable, non-toxic, and dishwasher safe. Now there’s no excuse not to take your water to go. This compact and lightweight adaptor can fit plugs in 152 different countries. It also boasts two USB ports. Use the knobs on the plug to transform the fit for the outlets in nearly any country you may travel to. 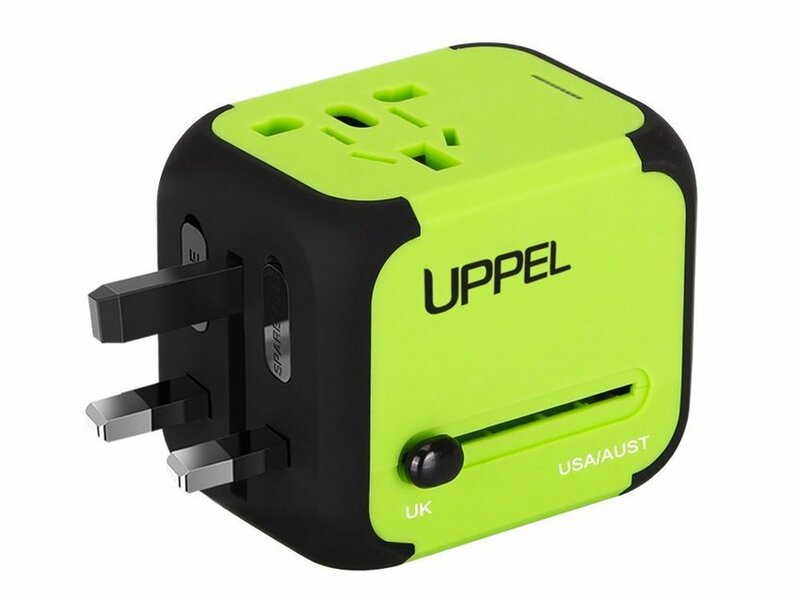 The Uppel Travel Adaptor is the only adaptor you’ll ever need. There’s really nothing else to say. Mr. (and Mrs.) Fix Its will go nuts for this 18 in 1 multi-purpose pocket tool. It’s the first credit card sized metal tool in the world to be 100% flat. Made from unbendable steel, this tool can slide right into your wallet and come in handy for all sorts of things during a trip. It can tighten the screws on your eye glasses, open bottles and cans, peel fruit, act as a phone stand or multi-head screwdriver, remove 6 different sized nuts and bolts, open a box, or remove a nail. 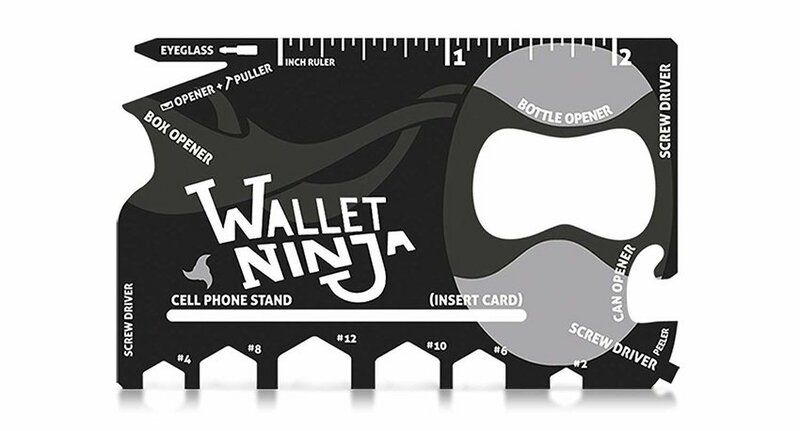 Convenient doesn’t even begin to describe this super sleek Wallet Ninja. Money belts are old news. There are now more creative ways to stash you cash and hide your valuables when you’re on the go. The bonus? They’re stylish, too. 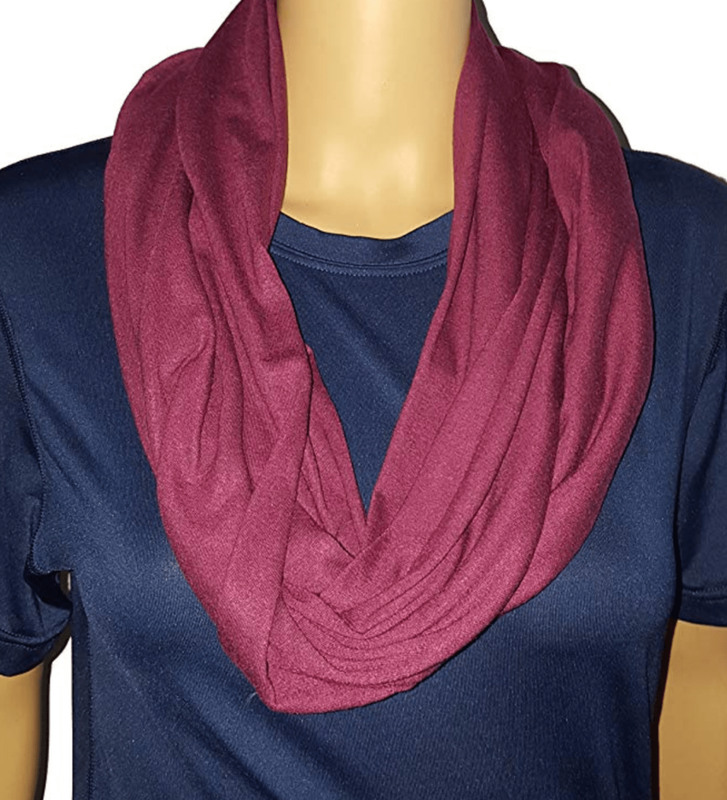 First up is the infinity scarf that doubles as security for your cash and passport thanks to its hidden zipper pocket. Next is the Clever Travel Companion tank top with two zipper pockets near the armpits that are big enough to store many of your valuables – including a phone and keys!